We no longer carry the 1979-93 Mustang Maximum Motorsports 6 Point Roll Bar w/ Low Slung Door Bars & Fixed Harness Mount Tube. 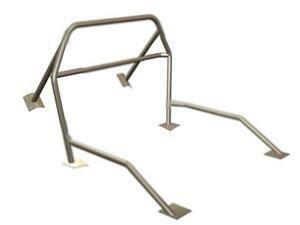 Check out 1979-1993 Mustang Roll Cages for an updated selection. Keep yourself safe while increasing chassis strength with this 1979-1993 Mustang 6-point roll bar! 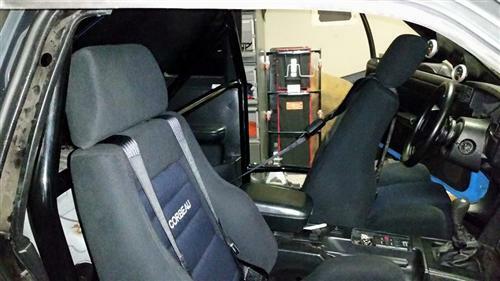 Increase both safety and the rigidity of your 1979-93 Mustang's chassis with a Maximum Motorsports Roll Cage. Intended for the rigors of drag racing, these MM rollcages conform to NMRA and NHRA rules. Designed to fit with the stock Mustang interior, To keep delivery costs to a minimum, Maximum Motorsports designed these roll bars to ship with the rear braces detached. This requires a minimal amount of welding during installation to secure the rear braces to the main hoop. Contour-hugging 6" x 6" mounting pads with backup plates, better than any you've seen, sandwich the unibody for safe and strong mounting. The front seats are accessed using Maximum Motorsports bolt-in or swing-out door bars. While both bars meet the NHRA rules, the swing-out door bars pivot outward, parallel with the doors, for easy entry. They can also be completely removed from the car in a matter of seconds! The bolt-in door bars are designed for easy initial installation (no welding), but are not intended to be removed. Unlike some roll bars, our rear braces do not extend rearward of the centerline of the rear axle. This design maintains a crush zone at the rear of the car for optimum safety. MM roll bars are uncoated, bare steel. For a high quality finish, the installer should paint or powder coat the roll bar after the welding is completed. Made of 1-3/4" diameter by 0.134" wall DOM tube (much stronger than the more commonly used 0.120" wall ERW seamed tubing). During installation the rear braces are bolted to the main hoop. This keeps the rear braces precisely aligned to the main hoop, allowing all welding to be done before the roll bar is installed in the car. This means you do not need to remove your car's interior to avoid damaging it while welding. To conform to the NHRA and NMRA rules, a qualified welder must use either the MIG or TIG welding process to weld the rear braces to the main hoop. 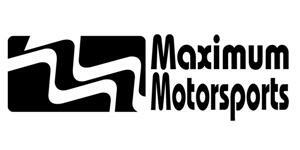 We recommend that you get your own copy of the latest NHRA rules by calling them at 626-914-4761.